Prometheus arrived in theaters riding a wave of fanboy hype not seen since…well, since The Avengers 6 weeks ago. Regardless, it was a big deal! 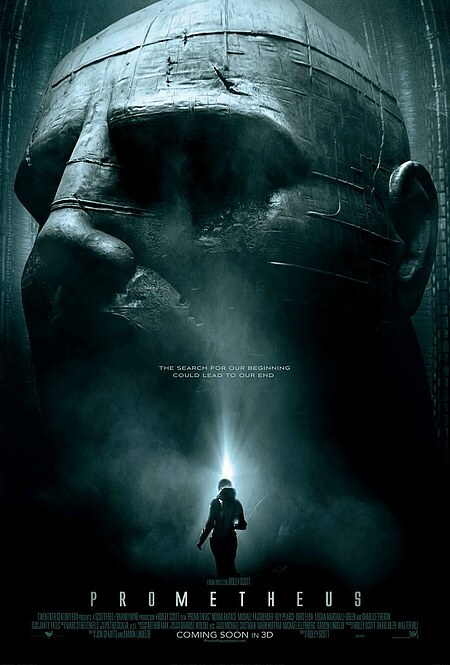 The primary reason for all the buzz (and the chief marketing angle employed by Fox) was that it marked Ridley Scott‘s grand return to the sci-fi genre. Of course, Scott first came to prominence in Hollywood via his early sci-fi entries Alien and Blade Runner, two movies that are almost unanimously considered classics. This is funny to me, because I actually find both of those films to be overrated. Blasphemy! I know! File a lawsuit in the Court of Cinema Opinion. Would you prefer dishonesty? Granted, I’ve only seen Blade Runner once, and it was at least 8 years ago, probably 10. I’m smarter and wiser now, maybe after another viewing I’ll ‘get it’. (By the way, at this point, which version of Blade Runner do you even watch? Aren’t there like 5 different cuts of it?) However, I’ve seen Alien more than once, and rewatched it just last fall. And though I like it, I don’t think it’s great by any stretch. I don’t find it scary, I don’t care much for the characters, and I don’t find the sci-fi that provocative. Again, sue me. Perhaps if I’d first seen it as a kid. Who knows? I understand how new and cool it was in 1979, but it just doesn’t work for me now. In general, I’m lukewarm on the Alien franchise, and to me James Cameron‘s Aliens is by far the best in the series. In fact, it’s the only Alien movie I’d say I LOVE. Can we talk about the TITANIC 3D trailer for a minute? 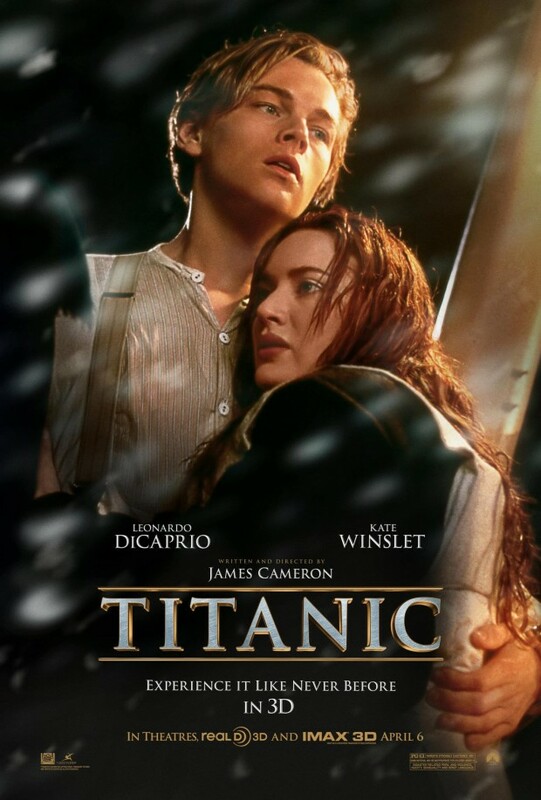 Once 2011 has ended, and I can say I proudly held up my 3D boycott for an entire year, I will lift it for 2012, and one of the movies I’ve already decided I will give a shot in 3D is the re-release of James Cameron‘s Titanic, which returns to theaters in April for the 15th anniversary of its original 1997 release, but more importantly, the 100th anniversary of the sinking of the actual vessel. Nice round number, time to squeeze some more money out of the old gal! I mean…it’s in tribute! It’s in tribute. Totally honorable intentions from all involved.